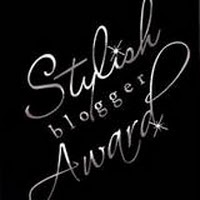 The Shabby Stamper: Stylish Blogger Award! How fun and encouraging to recieve this Stylish Blogger Award!!! 1) I love horses and have been showing/training competitivelyfor the past 46 years. 8) I love my husband and my two children so much! Out of all the wonderful blogs in the blogosphere, I'm supposed to choose just eight? Talk about challenges! I will have a hard time choosing just 8 people to pass this award on too! Be sure to visit them and check out their inspired work.